Unsealed court records reveal that Warner Bros. uses "sophisticated robots" to track down pirated content online. The movie studio tried to keep knowledge of its robots a secret fearing that it would hurt their anti-piracy efforts. However, based on information revealed thus far the impact appears to be rather minimal. It’s been nearly a year since Hotfile was defeated by the MPAA, but the case hasn’t gone away completely yet. As part of their $80 million settlement agreement with the movie studios, the file-hosting service also let the counter-suit over Warner Bros. alleged DMCA-abuse go. This meant that the true workings of Warner Bros. takedown systems remained secret, since many of the court filings were heavily redacted. Arguing that the public has the right to know how Warner operated, the Electronic Frontier Foundation therefore asked the court to unseal the records. 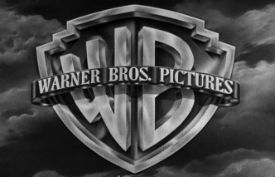 Warner Bros. objected to this request, arguing that the effectiveness of their anti-piracy technology would be undermined by a public disclosure. However, two weeks ago U.S. District Judge Kathleen Williams ordered that it’s in the public interest to unseal the information. The first set of unredacted documents were published by Warner Bros. yesterday evening. While it’s only a fraction of all sealed material, we can now see what the movie studio was so eager to keep out of the public eye. Most of the unsealed information deals with Warner’s automated DMCA takedown tools. In the court filings these are described as “robots” which are programmed to mimic human behavior. “Warner uses a system of computer programs known as ‘robots’ to help search link sites. for links to infringing copies of its content. These programmable robots are highly sophisticated and can effectively mimic the search a human would conduct, except faster,” Warner explains. This isn’t a big surprise, but Warner clearly preferred to keep its automated takedown tools out of the public domain. The unsealed information further shows that the script in question searches 200 hand-picked link sites for specific keywords. A takedown notice then goes out to the source site of this link. The actual content was never downloaded and reviewed, nor were the titles checked to see if Warner actually owned the content in question. “Its search process relied on computer automation to execute programs and did not involve human review of the file titles, page names or other overt characteristics before issuing a takedown notice,” an unredacted court order reads. Despite revealing details of its “robots”, Warner still redacts how many employees its anti-piracy division employs. Unfortunately for them they forgot to black out one reference. According to an unredacted court order Warner employed seven people in its anti-piracy division at the time. All in all it appears that most of the redactions revealed up until now were meant to keep the anti-piracy operations shrouded in mystery. There is not much that can actually hurt the company’s anti-piracy efforts. While it’s now clear that Warner’s DMCA takedowns were highly automated, there is still a lot more information to unseal. Many questions about specific errors also remain unanswered, including the fact that the studio intentionally targeted the open source JDownloader software. Whether future revelations will lift more of the veil will become apparent in the months to come.